The hostel part of the house, the first floor can only be used with a clean pair of shoes or slippers. To keep the house clean, it is forbidden to hang around upstairs in muddy boots, hiking shoes etc. For the same reason it is not allowed to eat in the rooms, we kindly ask guet to comsume their meal downstairs. Please use our recycling bins downstairs to collect waste, only use the mixed bin uptairs if the waste can not be recycled. When using the toilets upstairs please do not drop tampons, condoms, pantiliners or similar materials in the toilet pan. The hostel is equipped with a biological sewage farm that can not treat this materials. This materials can eaily cause plugging in the sewage disposal of the hostel. The water supply of the Mountain Hostel is assured by rain, the level of our stocks depend on weather. We kindly ask our guests to take care about the use of water when taking a bath or using the taps, economize as much as you can! Please always drop the waste to the correct recycling bin. You find recycling bins next to the toilets on the field in front of the house, and in the house, next to the bar. You have opportunity to depose separetly paper, pet, beercan, compost, glass, and mixed waste. Please, don’t miss this oppurtunity! 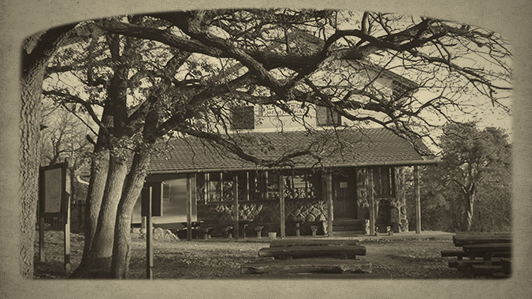 We are trying to keep the Moutain Hostel as a quiet, calm relaxed place as the nature is around us. It is forbidden to make loud noise upstairs from 10 pm to 10 am. Please do not disturb the others during this period by shouting, listening to loud music, late night showering etc. Social life is welcomed downstairs in the bar, or outside, but away from sleeping people! It is only allowed to listen to loud music in the bar or in the surrounding of the hostel if the workers of the house and other hostel guests give permission to it, and only at the agreed volume level and until the agreed time. For guests arriving with babies or little children we offer high-chair, mobile baby-bed, changing table, and nursing room if needed. On the first floor of the hostel and on the site in front of the hostel minors should be accompanied by an adult person. We are a dog friendly place, dogs can go and sleep upstairs in the hostel. At same time we kindly ask the owners to take care abour their pets to avoid conflict with other dogs or animals. It is not allowed for dogs to enter the bar or the kitchen area. Hostel guests can use our refrigerators to conserve their foods. Be aware of that we don’t have kitchen that can be used by guests, you can only cook and bake outside at the campfire. The kithcen is reserved only to the personel. Bar and hostel guests are allowed to eat their foods in the bar, inside the hostel. The consumption of brought alcoholic drinks in the bar and in the hostel is forbidden. In case of groups and organized events we discuss separetly the details regarding the consumption of brought alcoholic and non alcoholic drinks. If the prohibition of fire defined by the national forestry company Pilis Parkerdő ZRT. is in effect, it is strictly forbidden to make campfire in the forest and in the surroundings of the house, also at the built fireplaces. Even if there is no interdiction, we ask our guests to inform our personel before making fire near the house. We always provide water for the extinction of the fire, and also plastic bags for the garbage. 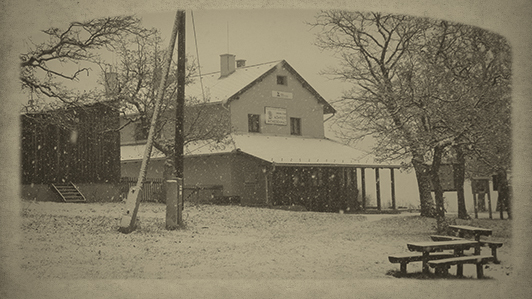 Looking back in time to 1920, the period of establishing MTE (HAH – Hikers’ Association of Hungary) is essential to get acquainted with the history of the Czibulka János Refuge House on the Kőhegy, Szentendre, as HAH was founded by a couple of really enthusiastic tourists on the 6th of January, 1920. 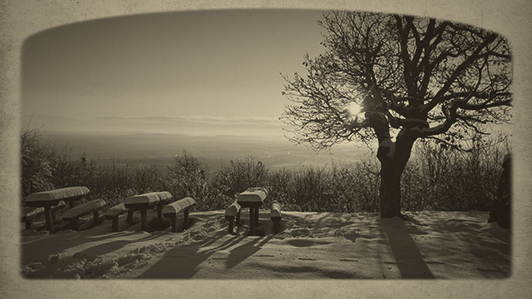 The main targets of the Association were to explore the surrounding mountains of Szentendre, and to create cultural circumstances, tradition and events around already explored places. The small number of members was determinative for creative work, but still, enthusiastic members and leaders were able to motivate members to rise up a capital that was enough for building a refuge House. They succeeded with their plan in 1933. “The tourist associations that build refuge houses always consider – among many other circumstances – the view when choosing the place of the house. 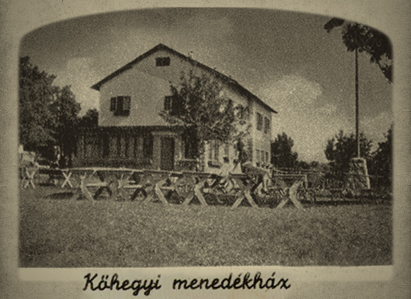 It was a great decision of the Szentendre section to build the Refuge House on the most southern link of the Szentendre-Visegrád Mountains, called Kőhegy. The top of it is a flat plateau that’s natural border from South is a rugged rocky wall, forming fantastic towers, columns and, mushrooms. The Refuge House on the Plateau, laying right above the steep, was built of ashlars, just exactly due to the plans of Gyula Balázs architect, the member of HAH. 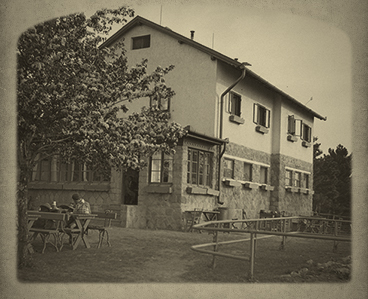 The house consisted of two 4 bed rooms, one 2 bed room, a friendly looking canteen, and a so called „Guard flat” in that time. The Szentendre habitants basically built their houses extendable. The flat roof of the Refuge House provides a generous view not only to the surrounding mountains, but to Budapest as well. An old idea came true by the ribbon cutting ceremony on the 23rd of September, 1933. Though the plan originated from János Czibulka, the first chairman of the Szentendre Section, he did not live to see finishing it. The 600 square fathoms of croft was granted to the Association by the council of Szentendre, and István Drobilics built it up on his own cost. The three quarter of refuge houses have gone under the ownership of neighbouring countries by the reformation of borders after the 1st WW. As a consequence, numerous new refuge and tourist houses were built rapidly in our „remnant” mountains between the 2 WW-s. More than desperate tourists, hikers carried up the necessary building material to the mountains, sometimes in their back packs. The top level was built in these years on the Kőhegy Refuge House, but by the Csepel hikers at this time. The refuge houses were placed under governmental maintenance by the time of socialization in 1949, after the sustainment became impossible. 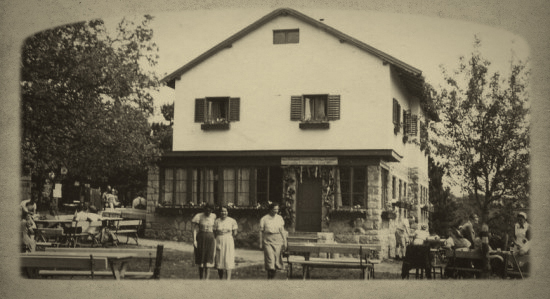 The maintenance of these houses were carried out by the Turistaházakat Ellátó Vállalat (Concern for Supplying Tourist Houses) at the first place, and after its termination, other catering companies dealt with them, but the ownership remained clearly governmental. 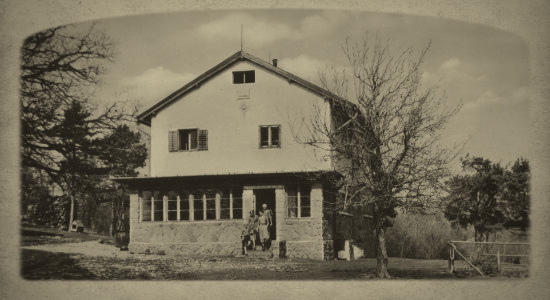 The Czibulka János Refuge House, Kőhegy, Szentendre has been maintained by the A “HÓD” Honismereti Túraegylet /MTE Szentendrei Osztálya (HAH) (Hód (Beaver) Hiking Association for Local History) since march,1993. 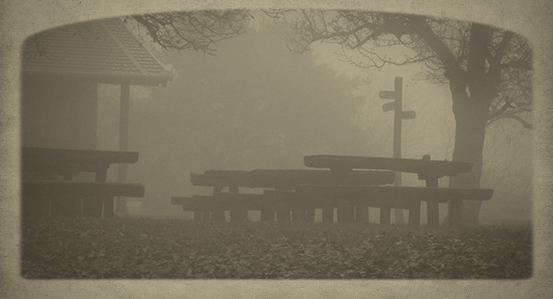 HÓD MTE is our partner organisation of hikers that treats the issues regarding the Mountain Hostel, and maintains the hiking trails around Szentendre in Pilis forest. Pilis Parkerdő ZRT. is a national forestry company which maintains the state-owned forests around Budapest city, including the area of the Mountain Hostel.